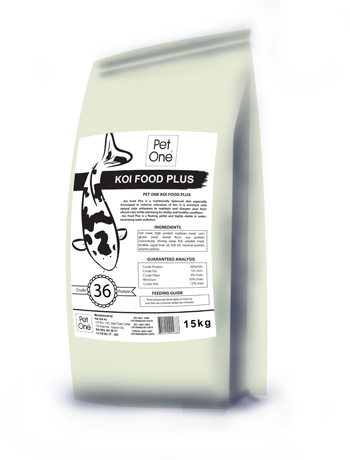 Koi Food Plus is a nutritionally balanced diet especially formulated to enhance coloration of Koi. It is enriched with natural color enhancers to maintain and sharpen your Koi’s vibrant color while maintaing its vitality and healthy condition. Fishmeal, squid meal, wheat flour, wheat germ, soy protein concentrate, shrimp shell meal, dried brewer’s yeast, spray dried whole egg powder, squid liver oil, fish oil, lecithin, natural color enhancer, mineral premixes, vitamin premixes.